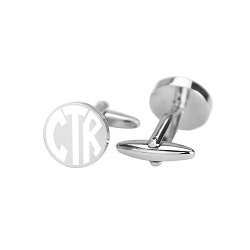 These CTR cufflinks are an elegant addition to any Sunday suit. 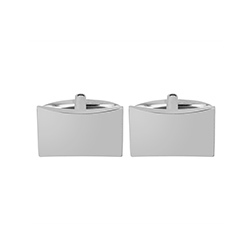 This pair features the letters "CTR" in a modern design. It makes a great gift for any man of God. These CTR cufflinks are an elegant addition to any Sunday suit. This pair features the monogrammed letters "CTR." It makes a great gift for any man of God. We carry a small and simple collection of stylish cufflinks for men. This includes custom LDS temple pins that are perfect for weddings and missions.